My name is Colleen Walker and I was lucky enough to win the raffle prize at the Balloons Over Waikato 2014 part of which was a hot air balloon Flight. My two daughters and their children took this part of the prize and found the experience wonderful. Thank you ever so much. I am sure some of their freinds and family will be persuaded to have a go sometime in the future. I would personally like to thank you very much for your most generous contribution to this very worthwhile raffle. Proceeds from the raffle in turn also went to the Lions Cancer Lodge an extremely worthwhile cause. I wish you well with this wonderful tourism venture. We will also promote your business through our B&B business and the B&B Association. I would like to also thank Mark & Doug for their friendly service and the opportunity for this once in a lifetime experience! Doug gave such kind words before the flight to make us at ease and was just so kind to us all – such a lovely man. Mark was very knowledgeable and was such an experienced pilot that we had a ‘text book landing’ …lovely & smooth!! It was definitely an experience and my 10 year old son, Fabian, loved it – He was a lot more braver than I was!! Thank you Mark & Doug & we wish you the best with your business. 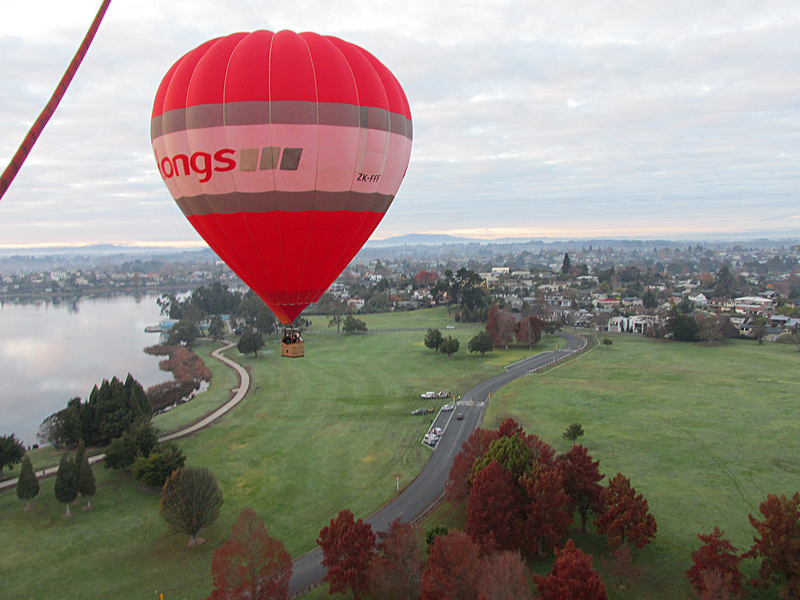 My son Tyrone and I went on our first ride in a hot air balloon. What an experience! It was ABSOLUTELY fantastic!! From the setting and blowing up of the ‘envelope’, the ride itself and the landing, we all had such a great time. Mark was very good keeping us all calm and collected (a mission in itself!!!) and gave us an enjoyable flight pointing out places of interest. And when we went to say goodbye, rather than a handshake, Doug and Mark gave us a hug instead! Quite appropriate since between them both, they had our lives in their hands!!! 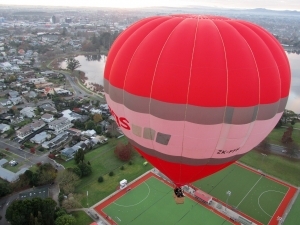 We would recommend the Kiwi Balloon company to anyone wanting to have try in a hot air balloon.